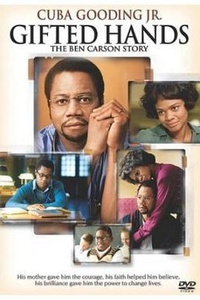 Gifted Hands: The Ben Carson Story is a 2009 television drama film directed by Thomas Carter, starring Cuba Gooding, Jr. and Kimberly Elise. It is a movie based on the life story of neurosurgeon Ben Carson from 1961 to 1987. A Johnson & Johnson Spotlight Presentation, the movie premiered on TNT on Saturday, February 7, 2009. Its title was reused from a 1992 direct-to-video documentary about Ben Carson released by Zondervan. This webpage uses material from the Wikipedia article "Gifted_Hands%3A_The_Ben_Carson_Story" and is licensed under the GNU Free Documentation License. Reality TV World is not responsible for any errors or omissions the Wikipedia article may contain.